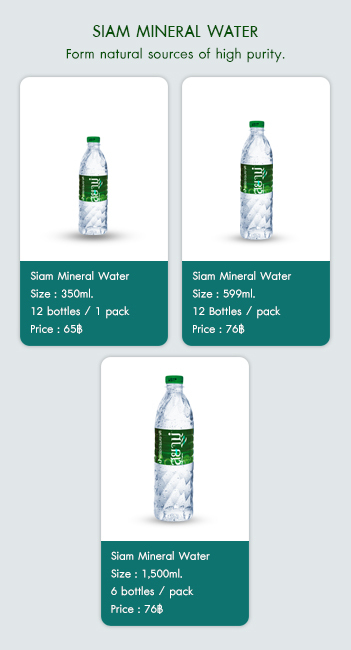 For 20 years we have been a manufacturer of "SIAM" drinking water, mineral water and also a supplier for major brands in Thailand. TTC SIAM Drinking Water, quality is excellent, coming from Sam Khok, Pathum Thani. We produce 300 million water litters per year.